Tundra sheep leather coupled with a vintage hand-loomed Southwest rug. Vintage turquoise & sterling bolo feather. Unisex design. Fully leather lined with zippered pocket & two side pockets. 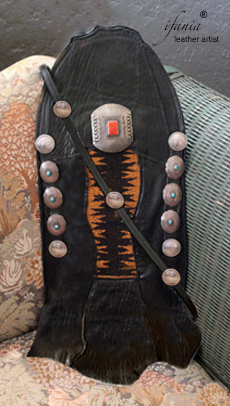 Leather strap with eagle conchos, cross-body style. Measures approx. 13 X 15"
Quiver Bag to hold your essentials - or even arrows! 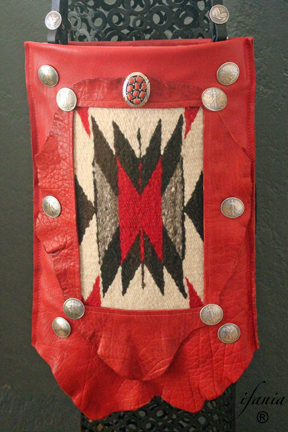 Unisex design in fine tundra sheep leather with vintage Southwest hand-loomed rug. Sterling & turquoise bear claw bolo and eagle conches. Extra zippered pocket on back and detachable straps to double as a backpack. Measures approx. 10 X 22". 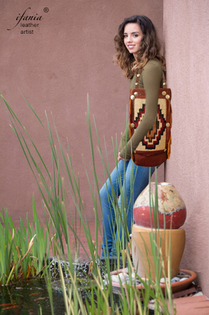 Red Heritage bag features soft buffalo leather & vintage southwest rug. 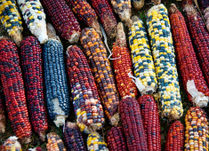 Coupled with a sterling and coral jewel and Liberty coin conchos. Unisex design is fully leather lined with one zippered pocket and two side pockets. Measures approx. 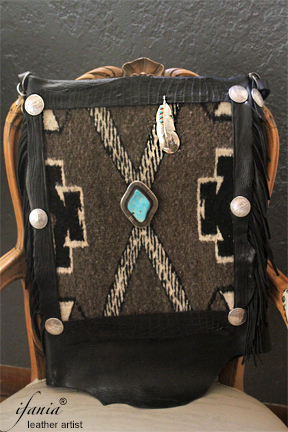 16 X 18"
Quiver Bag featuring black tundra sheep leather coupled with vintage Southwest hand-loomed rug. Heirloom quality hand-crafted spiny oyster & sterling buckle. 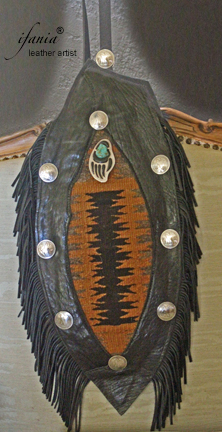 Finished with sterling & turquoise conchos. Fully leather lined, zippered outside pocket on back. Unisex style with detachable straps to double as a backpack. Measures approx. 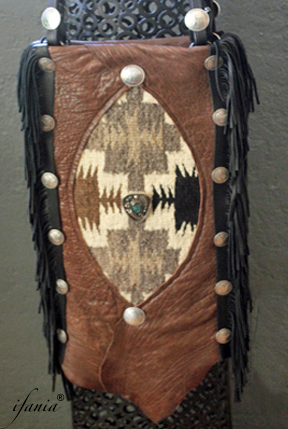 10 X 22"
Luxurious nutmeg tundra sheep leather with a hand-loomed Southwestern rug. Coupled with an exquisite green-brown matrix turquoise & sterling bolo. 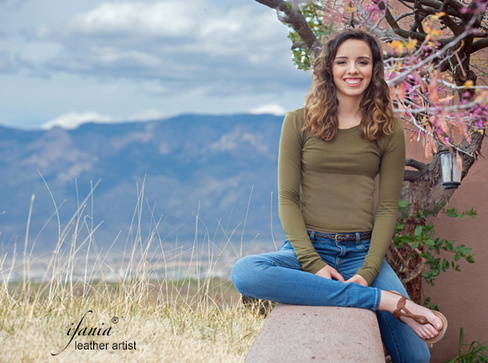 Unisex design is fully leather lined with one zippered pocket and side pocket. Measures approx. 12 X 20"